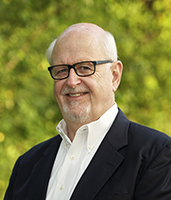 Phil Bishop has been a Texarkana resident for over 40 years, graduating from Texarkana, Arkansas High and then attending Abilene Christian College. Before entering the Commercial Real Estate arena with Curt Green and Company in 2006, Phil enjoyed a successful 30 year career in the life and health insurance business. Phil is licensed in Arkansas and Texas and specializes in single tenant & multi-tenant Net Leased retail properties, along with health care related properties. Since 2006, Phil has been a part in more than $60 million of closed real estate transactions and is currently involved in syndicating development projects valued at more than $24 million. Phil is a member of the North Texas Commercial Association of Realtors, the National Association of Realtors, Arkansas and Texas Associations of Realtors, and the International Council of Shopping Centers. Phil has been married to his wife, Susan, for 44 years, and they have 3 children and 4 grandchildren. Phil has served as a board member for the Alzheimer’s Alliance Tri-State Area for 6 years, serving as Board President for the past 3 years. Phil also is President of the Community Advisory Board for Texarkana Regional Center on Aging/UAMS.